The Technology Council has become a network of active, social innovation partners that share a vision for equal access to technology and inclusion of Indigenous people in technology and innovation sectors. We enthusiastically welcome new partners and allies in our work and invite you to connect with us if you or your organization wishes to join the conversation and drive change. We continue to seek opportunities to work with other organizations toward the successful adoption of technology in the 203 First Nations communities in BC. By partnering with organizations at all levels and across sectors, we can play a key role in building digital skills capacity, facilitating access to technology, and planning for the sustainability of technology in First Nations communities. Building digital skills capacity in communities is just the first step; we also want to ensure strong and tangible outcomes, including employment. 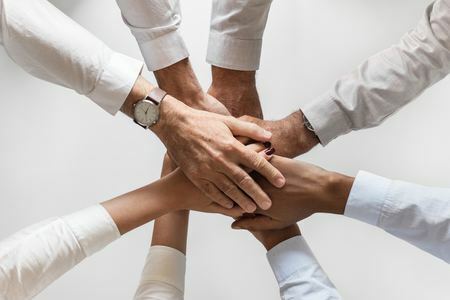 We believe that the best way to ensure successful outcomes is to develop relationships and establish a collaborative support network that connects skilled individuals with employers. See a full list of our partners here and find out how they are working with us! We at the First Nations Technology Council enjoy incredible partnerships with major players in the Canadian technology ecosystem. Forming these relationships are a crucial step to increasing Indigenous representation in the tech sector and is a tangible act of reconciliation. Our partners are taking active steps to respond to the Truth and Reconciliation Commission of Canada’s call to action to ensure that Indigenous people have equitable access to jobs, training and education opportunities in the corporate sector and that Indigenous communities gain long-term sustainable benefits from economic development projects on Indigenous lands. By providing financial contributions, formalizing internship hosting, reviewing our curriculum and linking us to the broader tech community our partners help us to increase capacity within Indigenous communities and foster new Indigenous innovators in an industry hungry for local talent.